Last winter, a reader and fellow Canadian contacted me through the blog, asking if I had visited some countries he was considering for a solo trip. Interestingly, I hadn’t been to any of the countries on his list (places like Fiji or Mauritius) but we continued our email exchange for a while, and even connected on Facebook. Marcus’ plan was to quit his job as an IT Business Analyst in the spring and travel the world solo for a while. But first, he figured he should explore his own country. A quick jaunt to another province (he’s from Calgary, Alberta) wouldn’t do though. He was going to traverse the entire country from West to East. On a bicycle! 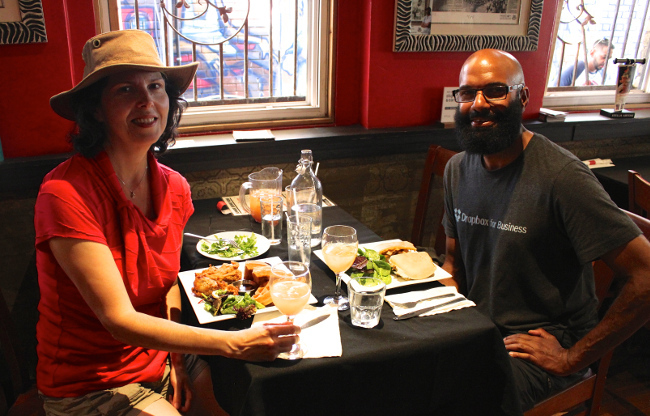 Marcus started his bike journey in early May and I caught up with him when he stopped in Toronto in late July. I thought his unusual travelling style could be interesting and inspiring to some other travel nuts and he graciously agreed to an interview. Our conversation follows (with my inner thoughts in italics). All photos, except the one above, are courtesy of Marcus Udokang. 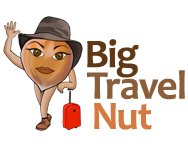 Big Travel Nut: What made you decide to undertake this journey Marcus? Was it an old dream of yours? Marcus: I had the thought many years ago. 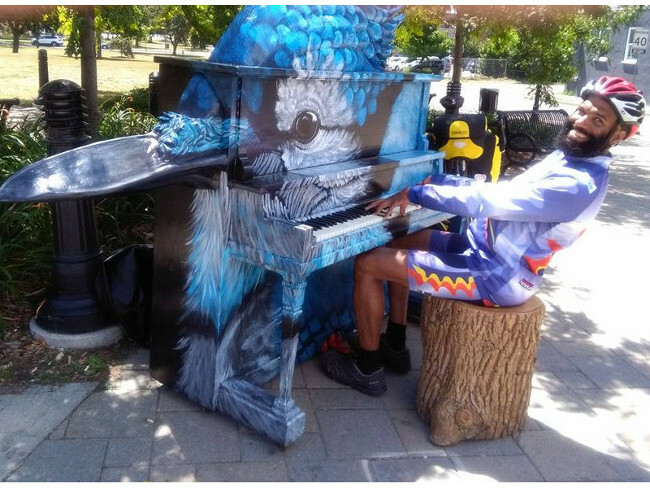 A former teacher of mine cycled from Texas to Ottawa at the age of 50. Since I heard that story, I have been intrigued in doing a similar cycle. I thought crossing Canada would be the optimal challenge. I always had an excuse not to do the cycle. Finally, at age 46, I bit the bullet, and just took the time off to do it. While cycling I met a few folks who had done the same. Some were around my age and married with children, some were retired, some had a life partner who had passed away and this was their time to cycle the country. Some were novices at bicycle touring, while others were very experienced. 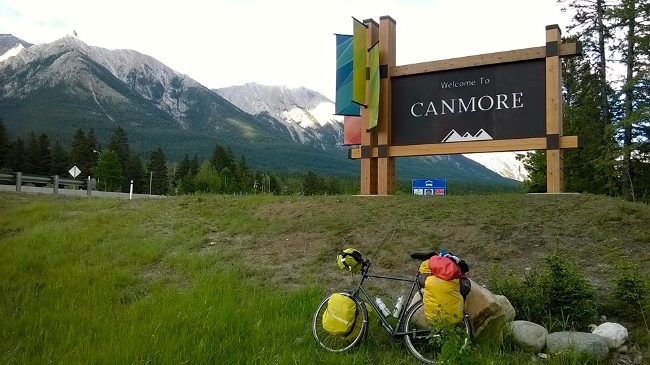 One 60-year old man was on his fourth cycle journey across Canada. BTN: When did you start cycling seriously, and how did you train or prepare for this trip specifically? 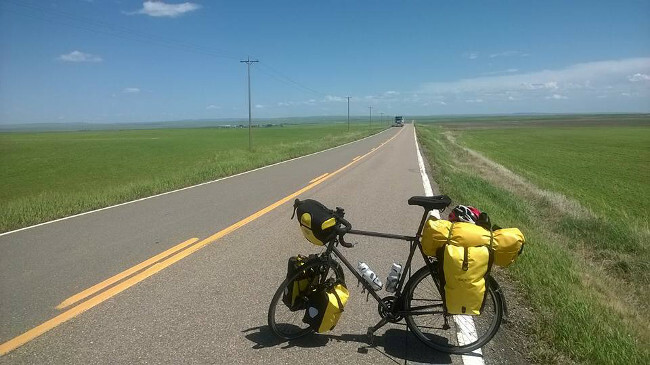 Marcus: I only started long distance bicycle touring when I was 36, and even then, only occasionally. It wasn’t until I was 40 that I started taking it more seriously. My longest bicycle journey up to this point had been cycling Calgary to Edmonton in one day, a total of 350 kilometres. For this event, I spent 40 minutes to an hour, six times a week, training. This included either using an elliptical, a stationary bicycle trainer, or jogging. I alternated the exercises, doing each about two to three times a week. My training was more for endurance. From January to April, taking advantage of unusually warm winter weather in Calgary, I rode 50 to 120 kilometres on weekends, with shorter rides during the week. 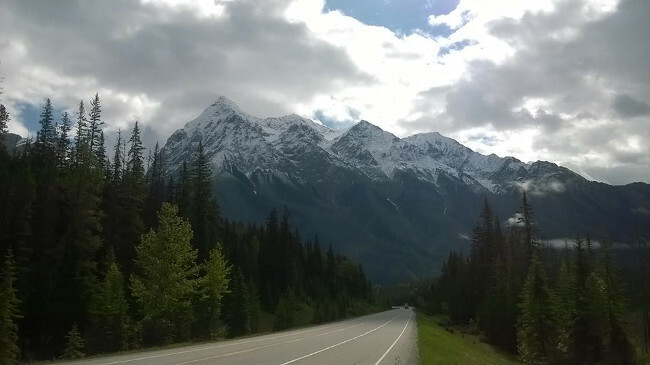 Calgary has lots of country roads and open space within a 30-minute cycle from where I live, so cycling days were just amazing, with gorgeous mountain views! BTN: Where exactly did you start and end your cycle, and how long did it take you? Marcus: I started in Port Hardy, British Columbia, which is the most northwestern town on Vancouver Island. I ended my cycle in St. John’s, Newfoundland, a total distance of 9166 kilometres. I cycled for 85 days, but counting resting days, my whole trip lasted 115 days (nearly four months). BTN: How did you plan your route and your accommodations? Did you book anything in advance? Marcus: The first third of the route (Port Hardy to Winnipeg) was planned via Google Maps, ahead of time. In Northern Ontario, I knew I would be taking Highway 17, as there wasn’t much choice in that region. Bicycles are not allowed on some parts of the Trans Canada Highway, so I had to take side roads around those areas. Some of these roads I knew about beforehand (from reading web forums), others I learned about while en route. From Quebec City onward, I just mapped out the route along the way, using hard copy maps or Google Maps via my cell phone. I stayed in campgrounds, hostels, a few hotels, with friends and family, or with “warmshower” hosts. 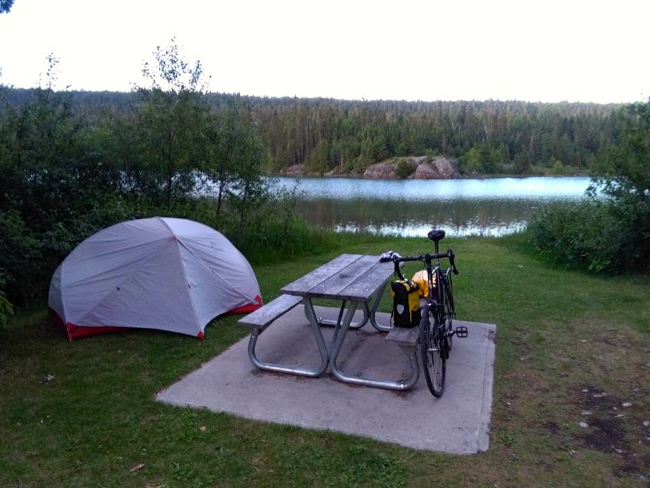 Warmshowers.org is an online community which provides long-distance cyclists with either tent space in a backyard or a bed, and a warm shower. It’s like couchsurfing, but only for cyclists. Most of these places I booked a few days ahead. Other times it was a last minute decision on where I would sleep for the night, which didn’t always turn out for the best. Once I arrived at 10:30 PM in one town in the Prairies, where the only hotel was $90/night, and the campground was closed. I decided to sleep on a shower bench, in the campground bathroom, while sitting upwards. It was a very uncomfortable four hours. I had to leave early before anyone saw me! BTN: How much luggage did you carry, and what are five items you couldn’t have done without? Marcus: I had four bicycle pannier bags, a handle bar bag which held my DSLR camera, and one dry bag which contained most of my camping gear. The total weight of all bags was about 29 kilos. I packed food that I could easily cook on my portable burner, or that I could nibble on: rice, Quaker oats, dates, nuts, powdered milk, tea bags, granola bars, energy bars. Fresh fruit and vegetables I purchased every day or two. As for the five items I couldn’t have done without, they were my tent, sleeping bag, tire pump, allen keys, and warm cycle clothing. BTN: I bet you met some very interesting people along the way. Any particularly memorable encounters? Marcus: Yes, I did meet some interesting characters along the way. The most memorable was Mr. Boyd Stevens in Orion, Alberta (about 76 kilometres SW of Medicine Hat). There are nine people living in this hamlet, including children. At 82, Boyd is currently the only person who was born and lived there all his life. He owns a Hardware and Garage shop which contains just about every form of paraphernalia from years gone by. I spent about 40 minutes chatting with this guy. He was a hoot: alert, funny, and tough as nails. He’s a bit of a local celebrity, having had a story about himself published in the Medicine Hat newspaper, the Calgary Herald, and in a book (Ghost Towns of the Red Coat Trail, by Johnnie Bachusky). BTN: You also “bumped” into several people you knew completely out of the blue during your journey. Can you talk about that? Marcus: Yes, that was uncanny. In Toronto I received a text from an old friend who lives in Baltimore (USA), wanting to know my current location. It turns out he was visiting family a 10-minute drive from my brother’s place, where I was staying. What a coincidence! We had reconnected on Facebook a few years ago, but we hadn’t seen each other in person in 35 years. He drove over immediately and we had a great reunion! Then while still in Toronto, I bumped into an old high school friend while casually touring the Distillery District with you, if you remember. Again, we had connected on Facebook but hadn’t seen each other in person in 25 years! I didn’t even know she lived in Toronto. I thought she was still living in Ottawa, where we went to high school. Then while in Ottawa staying at a crummy hotel, I heard a domestic dispute in the next room. As a precaution I called 911. An old friend from my Ottawa days was manning the line. Another weird coincidence! I also met many other long-distance cyclists on the road, often bumping into them again weeks later. For example I met a Kiwi couple cycling on a tandem bike in Golden, British Columbia. We bumped into each other again in Medicine Hat, Alberta, and Maple Creek, Saskatchewan. I cycled for a day with a Scotsman in Manitoba. I bumped into him again while at a hostel in Halifax. Not only were we assigned to the same room, we were also sharing a bunk bed (I had the top bunk, and he had the bottom bunk). This happened several more times. Since many of these cyclists were arriving in St. John’s, Newfoundland within a few days of each other, many of us made time to meet up there for one last celebration. It was amazing and rather strange how coincidentally we bumped into one another on the road! BTN: What would you say was the best moment of your trip? Marcus: Can’t say there was just one best moment. But overall, the best moments were the beautiful scenery, just endless captivating scenery. Every province has a highlight, whether it’s the coastal shores of British Columbia, the endless red beaches of Prince Edward Island, or the ever flowing canola in the Prairies, with their remarkable cloud skylines. Not to mention the wildlife: bears, moose, antelopes, blue herons, beavers, coyotes, foxes, hawks, orca whales, seals, and so on. BTN: And the worst moment? Marcus: Probably the worst moment on this trip was getting mechanical problems in the middle of nowhere, just as the sun was coming down, not knowing if I would make it to my destination for the day. About 80 kilometres west of Corner Brook, Newfoundland, I noticed a slow leak in the front tire. Normally it’s not an issue to fix. But in this case, there was a small bulge popping out of the front tire. If I attempted to fix the flat, and the tire ripped, I’d be royally screwed with no replacement tire. I had to pump the tire every 20 kilometres until I got to Corner Brook. I made it to the bike shop two minutes before closing. Whew!!! The next bike shop was in St. John’s, some 690 kilometres east of Corner Brook. When I finally replaced the tire (and tube) I noticed the tire was badly ripped on the inside, thereby causing the bulge. Changing the tube on the road probably would have made the tire worse. Good call, and a close one too, on my part! Another time, I accidentally locked myself out of my motel room in a small Northern Ontario town, around midnight. I was going to bring in my laundry which was drying on a chair outside, and I snapped the door closed against the bugs. At this hour, the main office was shut and nobody was around. I sat on the chair in only my shorts, wondering what to do. Within an hour, a man in a trailer stopped to use the nearby pay phone. This fellow helped me pry open the motel room’s window screen with a screw driver which he luckily had handy. It was 1:30 AM by the time I made it back in, to my great relief! BTN: Did anything else happen that you didn’t expect or that took you by surprise? Marcus: My first surprise was losing about 11 kilos in the first six weeks of training. I guess I pushed myself a little too much, so I toned down the training levels a bit. Interestingly enough, I didn’t lose much weight on the tour, which was surprising, considering how much I was cycling! On a trip like this, you expect the unexpected, but you can still get surprised. I’d say the strangest thing was getting to many Quebec towns only to find out all motels and hotels were booked solid during the “construction holiday”, when all Quebec construction workers have the same two weeks of vacation in late July/early August. I never anticipated this in the least. Scrambling to find a place to stay, especially during bad weather days, was tough. BTN: Which province did you enjoy the most and why? 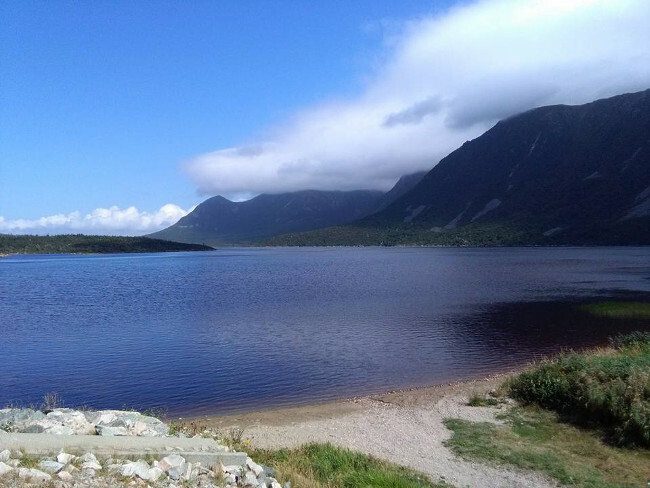 Marcus: British Columbia and Newfoundland were by far the most spectacular for scenery. Each province was unique, but the BC coast, particularly Vancouver Island, and Newfoundland stood out as just off the charts for exquisite beauty. Absolutely stunning! And, I’d say Quebec City is not only the oldest Canadian city, it is by far the prettiest. There quite literally is no other city in Canada that looks even similar to this one. It is in a category of its own, by a long shot! 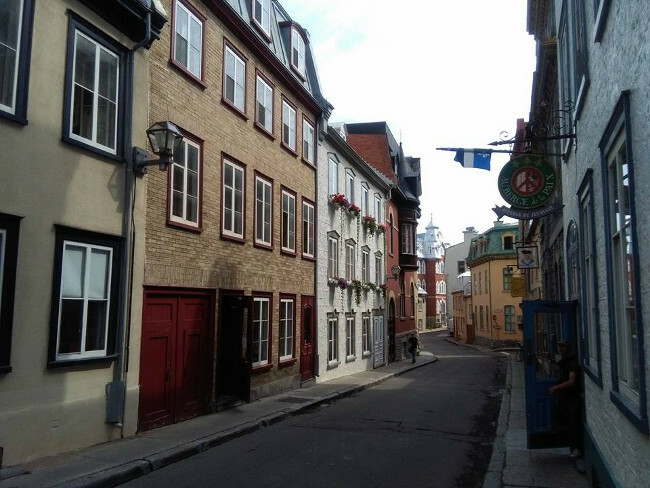 Quebec City feels like one is living in 17th century Europe, but with modern amenities. BTN: Do you have any tips for bicycle enthusiasts who would like to do a similar trip? Marcus: Enjoy the ride and tour the occasional city for a day or half a day if you have the time. You can race through the cities if time is of the essence, but you miss so much history and scenery which is well worth seeing! BTN: Any plans for future cycling trips? 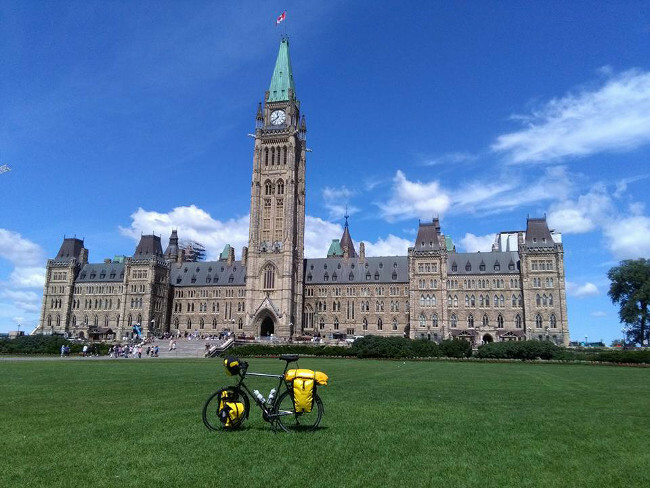 Marcus: After this, I figure I have one more long Canadian cycle to complete, and that’s Vancouver to Inuvik, Northwest Territories. But, because much of this route is isolated and barren, I hope to do the cycle with a small group. BTN: Thank you very much Marcus. That was awesome information for those who may be thinking of travelling across Canada by bike, and a great story for the rest of us. What an amazing adventure! And Marcus is just getting started. Last time I heard, he was up to his neck reading about and researching his upcoming round-the-world trip. Life is short, and you’ve got to ask yourself: if not now, then when? A man of many talents! Love biking, I wish I can do some journey like that in the near future. Wow this a huge achievement! You guys traveled 9000km by bike, I can not believe it! Really very inspiring. Thanks for sharing with us.